These chips are made from the Bourbon white oak barrels used to age TABASCO. These chips are ideal for smoking meats, poultry, vegetables and fish. 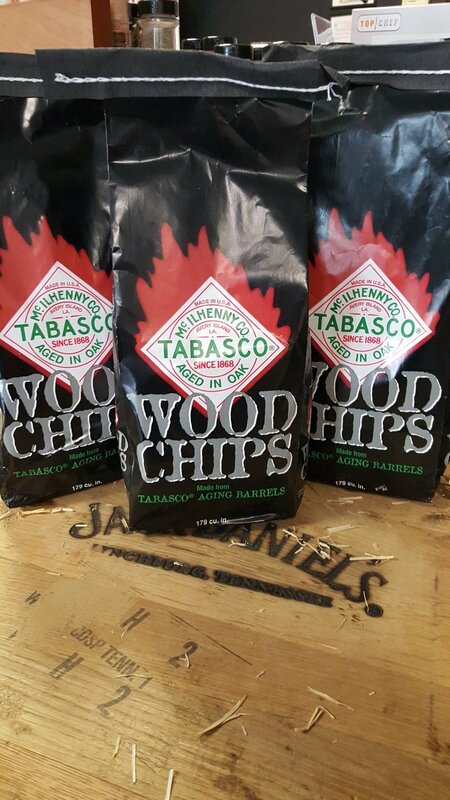 Try something new and explore the TABASCO wood chips. For over 130 years, TABASCO® sauce is made the same today as it was by Edmund McIlhenny in 1868. The ripe red peppers are picked by hand, mashed with a small amount of Avery Island salt and aged for up to three years in white oak barrels, much like fine wine. After the mash is bottled into TABASCO® Pepper Sauce the empty white oak barrels are cleaned out and, unlike whiskey barrels, are put back into the system for reuse. Some of these wooden barrels may go through up to 10 to 15 aging cycles in their lifetime. TABASCO® wood chips are made with the wooden staves of these used aging barrels. Use TABASCO® wood chips to grill or smoke your favorite meats or seafood. Truly one unique product!